Disclaimer: I'm going to keep this post short and sweet. I'll also try to curtail my excitement as much as I can. For the uninitiated, BlogAdda houses the largest community of bloggers in India. A handful of Desi bloggers - including yours truly - were cherrypicked to receive exciting, never-before-seen items at their doorstep daily for four days starting July 30. Four effing days of non-stop fun and anticipation, never really knowing what was in store for us. I wondered. There ain't no such thing as a free lunch. 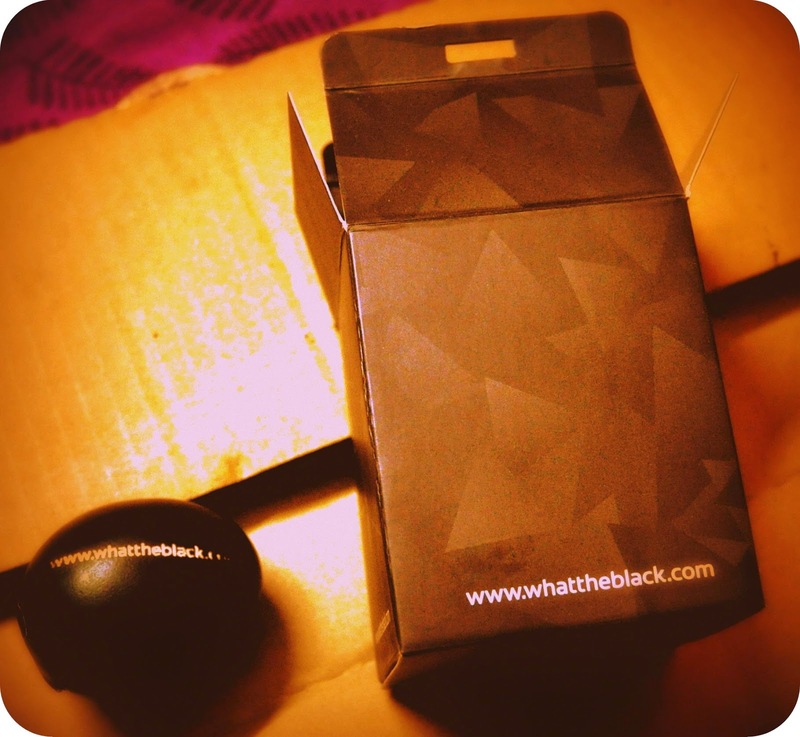 We, as in the Blogging junta, were required to click loads of pictures of these never-before-seen items and create social media buzz around #WhatTheBlack was going on and what would come next. That would set the tone for the next four days: Excitement, Curiosity, and Intrigue. Not sure what to really expect, I quickly tore the wrapping off the box only to discover a black egg stuffed with dark chocolate inside its shell. Different conspiracy theories came to mind but the one that stuck was that the hint for Day 1 had something to do with Indulgence. #WhatTheBlack is going on? Recd a black egg; looks like a Chocolate. Hoping for a pair of black sunglasses tomorrow. 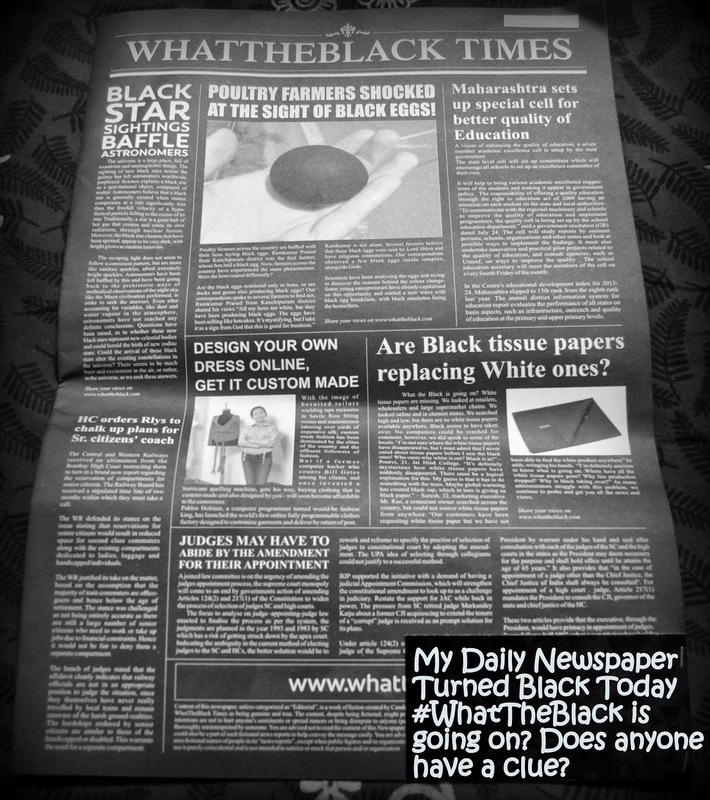 On Day 2, I received something akin to a daily newspaper with the only exception that it had turned black. Poultry farmers shocked at the sight of black eggs. Are Black tissue papers replacing White ones? Cricket Board introduces black balls, Will they behave differently? The Sherlock in me jumped to the gun ... the clue for Day 2 had something to do with Information. On Day 3, the plot started to thicken. 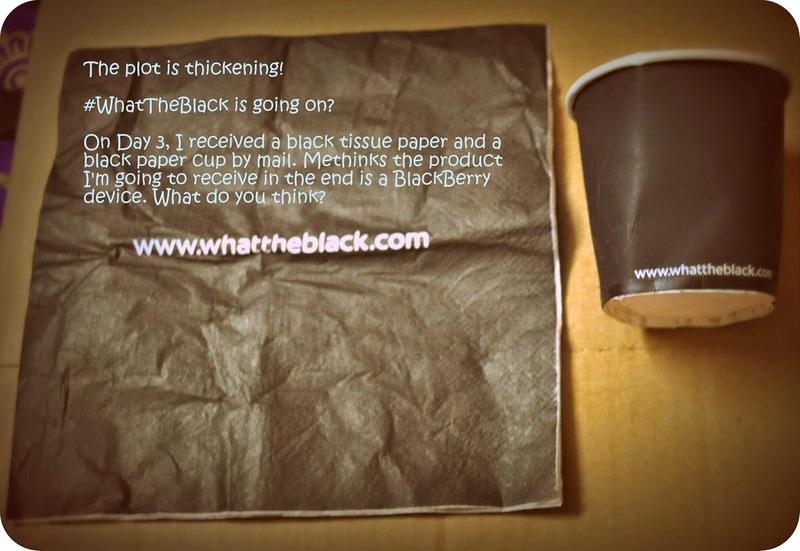 I received a black tissue paper along with a black paper cup by mail. By now, the hashtag #WhatTheBlack was already popular on microblogging and social networking services such as Twitter, Facebook, Google+, and Instagram. Every blogger I could think of was second guessing whether the final product they would receive on Day 4 was a smartphone. One of the papers bundled with the courier docs contained details about the material and the name of the sender. Bang! That very moment I knew what the marketing gimmick was, courtesy: Candid Marketing, India's number 1 strategic brand activation agency based out of Delhi. Day 4 was a no-brainer. The product that got us all thinking turned out to be a new toothbrush. Oh well, that's life. The new Colgate SlimSoft Charcoal toothbrush boasts of 17x slimmer tip bristles that are charcoal infused to remove plaque bacteria. I really enjoyed playing Dr. House for four days, and would be again looking forward to such wonderful and engaging campaigns in the future. Wow that must have been fun...Mr. Sherlock Homes! Me too wonders y they wanna associate with a color like black. Usually cleanliness, pearly whites are synonymous with white. Let's see as this might b a well planned campaign.